BucketFeet received more press recently - this time in CNN Money's story about doing business with friends. 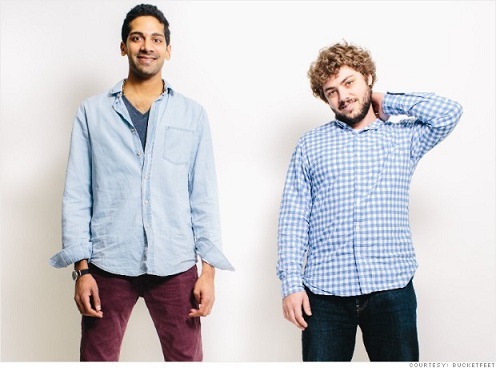 Check out this great profile where founders Raaja Nemani and Aaron Firestein talk about how their roles and working styles have evolved as the company grew. Click here to read the article! Also, don't forget to check out their new spring collection which will be launching soon at bucketfeet.com as well as their pop-up shop at Treasure & Bond in NYC's Soho neighborhood. With such a cool shop, we wish we could be there in person.